As of 2006, undergraduate and alumnus members of Delta Chi have joined hands in fighting cancer together with The V Foundation for Cancer Research. Each year, our chapters and colonies host various fundraising events and educate their members and campus communities on the importance of philanthropic giving to cancer research. Our strong partnership with The V Foundation allows each donor to make a greater impact on finding cures for cancer than he or she could ever do on his or her own. What is The V Foundation? 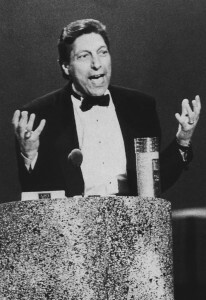 The V Foundation, named in honor of former basketball coach and cancer victim Jim Valvano, was chosen because of its dedication to saving lives by helping to find a cure for cancer. Because The V Foundation sponsors research and treatments for all forms of cancer, a disease which almost everyone has a personal connection to, a personal relationship will be established with this great organization. From 1998 to 2006, Delta Chi chapters and colonies had contributed more than 223,000 man-hours to community service and have raised more than one million dollars for charitable organizations. This partnership with The V Foundation allows Delta Chi to focus those efforts towards benefiting a single cause and organization. While The V Foundation is the preferred charitable organization for Delta Chi, chapters and colonies may certainly raise resources or services for any other local or international charitable organization. In fact, many chapters and colonies choose to contribute to both a local organization and The V Foundation.